My SIL entrusted me with the repair of her favorite childhood quilt. Items from childhood, quilts and security blankets are all very close to my heart. So I really want to help her preserve this darling quilt the very best I can. As you can see it has 2 types of damage. 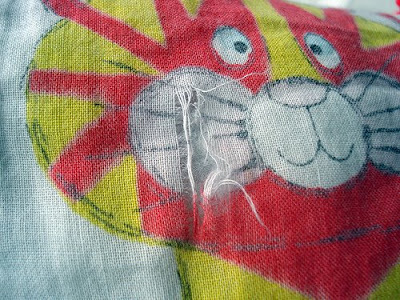 It has some seams that have opened and there are also many rips in the fabric. The rips are only in the animal fabric. It must be thinner than the calico. My plan is to use a large zig zag stitch and sew over all the seams. This would close up the open seams and provide more stability to the quilt. I have no idea what to do about the rips. I know I can't replace the blocks or make fabric where there isn't any. I would just like to somehow stabilize the rip to prevent it from getting bigger. Do you have any suggestions? I would be grateful for your input. Thank you! My SIL's birthday is in October and I'd love to give it to her then. I'm also going to make a little memento with a few color copies of those cute animals. I'll post it when I'm done. Are you planning your PARTY TIN? Hope so! I'm looking forward to seeing them on Monday. i have no idea how would be the correct way to if there is, BUT my suggestion is in some way find a fabric you like or that coordinates and repair the rip with that fabric in all the spots it needs. it will as special still, maybe even more -it doens't need to be restored to be the same, a well used quilt can take on a similar identity with the additional patches. i hope ive explained my thought well enough. I have an old quilt that's suffered similar damage, although the majority of it is on the binding of mine. I loved the heck out of that poor little quilt! I'll be curious to see what recommendations you get, because I'd love to fix and use mine again. I suppose putting new binding on the edges is my best solution, but I think it has some ripped squares as well. It's been stored as I've moved from place to place for probably more than 10 years now! 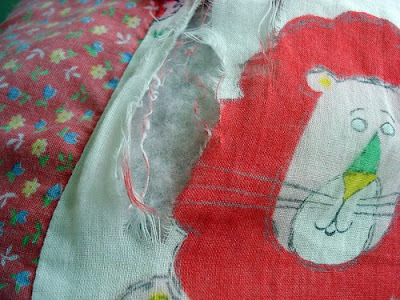 On the animal squares, I would try to use a zigzag stitch as well to close up the rips. For those squares that have bigger holes, I'd try to find a matching fabric and make a patch on top of the original fabric, covering up only as much as absolutely necessary. It will be just as special to the owner and they won't have to worry about it getting worse. 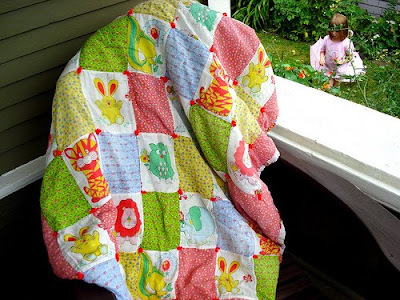 I agree with using a big zigzag over all the seams--it's a nice way to reinforce it, and it's sort of a seventies quilt...zigzag was big in the seventies! For the squares, I think that I would cut a stabilizing patch to go behind each rip, then either hand-stitch it around the rip onto the patch, or go for a machine zigzag to tie it all together. 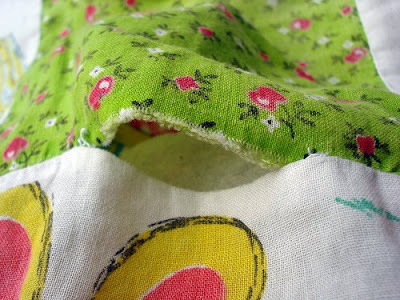 You could also use some iron-on fusible webbing (wonder-under) between the quilt square and the patch to hold it together while you stitch it up and reinforce it a bit. 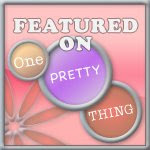 I hope my description is clear...and that I had a better/simpler idea for you! for the actual images, I must second the iron-on transfers. I have have had great success with Dritz iron on mending fabric, in this case I would slide a piece in, shiny-side up, place a piece of paper in-between your iron to prevent stickiness on your iron - may be obvious? Best wishes on it!